Our certified mechanics will get to your location as quickly as possible! We've been SW Florida's best for 15 years! South Florida Mobile Mechanic’s priority is to keep your vehicle moving to its’ destination. We specialize in Emergency Road Service and have dedicated day and night road service technicians with stocked mobile service trucks. For the most common road breakdowns we carry airbags, brake chambers, glad hands, air lines, air hoses, batteries, fuel, fittings, valves and hub caps. Larger repairs that cannot be covered by Emergency Road Service require a shop. Our local facility in Bradenton can accommodate your heavy duty truck and we have a large storage lot for trailers. Maybe the axle is broken on your trailer, no problem our yard is big enough to pull or back into. We can handle small repairs from air valves up to large slider box replacements. Located behind Tropicana’s Bradenton plant we are perfectly positioned by route 301. State Road 64 is just to our north and we are 5.5 miles to the I-75. 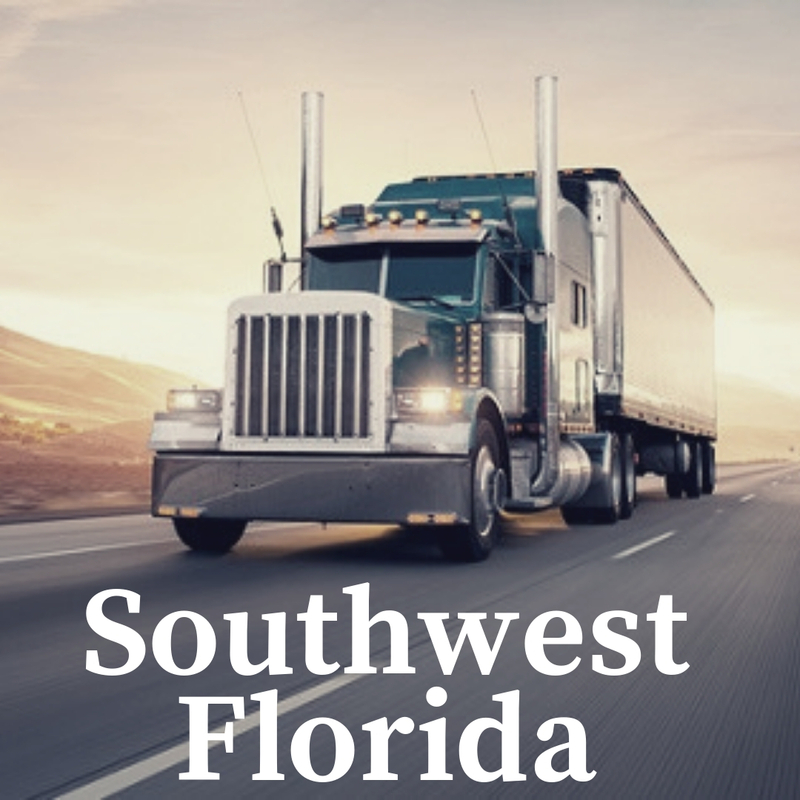 Our mobile service trucks go to road breakdowns as far as Gibsonton area north I-75, Largo, St Petersburg, Sarasota, Myakka, Venice, Northport, Arcadia. Our shop stocks starters, alternators, air driers, landing gear, brakes, drums, hubs – heck we even have our own hose making machine! We carry a full stock of tires for light truck, trailer and heavy truck up to a super single. Our techs can dismount & mount tires on the side of the road. We have the latest computer diagnostic laptop for heavy diesel trucks. Always the latest technology. Our team strives to be at your emergency location within 60-90 minutes. Getting you back on the road quickly is our priority.